It’s a day that students love and alumni love to remember. Every May, before the start of final exams, thousands of students gather on Libe Slope for a day of music, fun, and celebration. Held on the Thursday after the last day of classes in May, Slope Day is Cornell’s largest annual outdoor student gathering. A Cornell tradition for more than 100 years, it started in 1902 when the university declared “Spring Day” a campus-wide holiday. With live music by popular, nationally known artists, Slope Day continues to grow and change with the times. You, along with many other Cornellians, can also enjoy Slopefest, a carnival held the same day on Ho Plaza. This non-alcohol based, fun activity area offers food, beverages, and fun activities before, during, and after the main-stage music attractions. Visit the Slope Day website or Facebook page, or follow the event on Twitter. Ithaca is a place like no other. 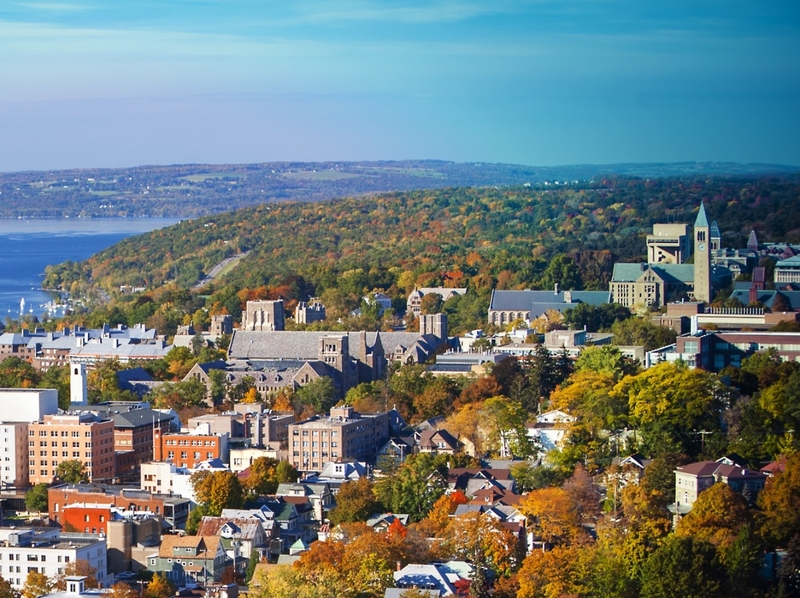 Integrated into the natural beauty of the Finger Lakes, the buildings, pathways, and vistas of Cornell's main campus provide the setting for the discoveries, experiences, and relationships that make this university special.